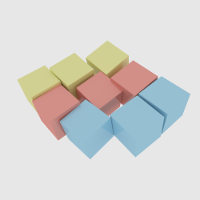 This is just a puzzle game a friend showed me, its pretty fun to play when you're bored. Post your scores, thoughts, and whatever else here. My high score right now is 5352. My high score so far is 20168. 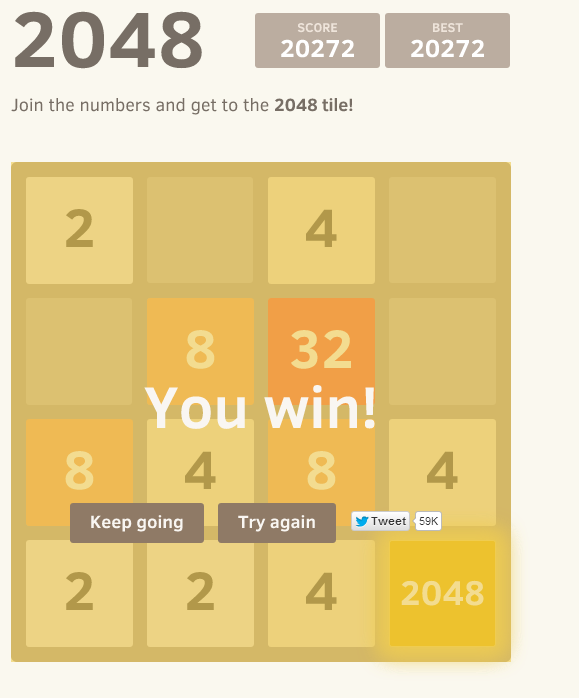 Still haven't hit the 2048 block though. 20168???? I'm assuming you've played before I started yesterday, Im still trying to get the tactics down. I've got 512 multiple times, never 1024 though. He doesn't mean a 20168 tile, he means a SCORE of 20168. Beat it! Ill post a picture when I get home tonight. Totalled about 3 hours of game time from when I learned to play 2 days ago. You're an evil evil man Tony! 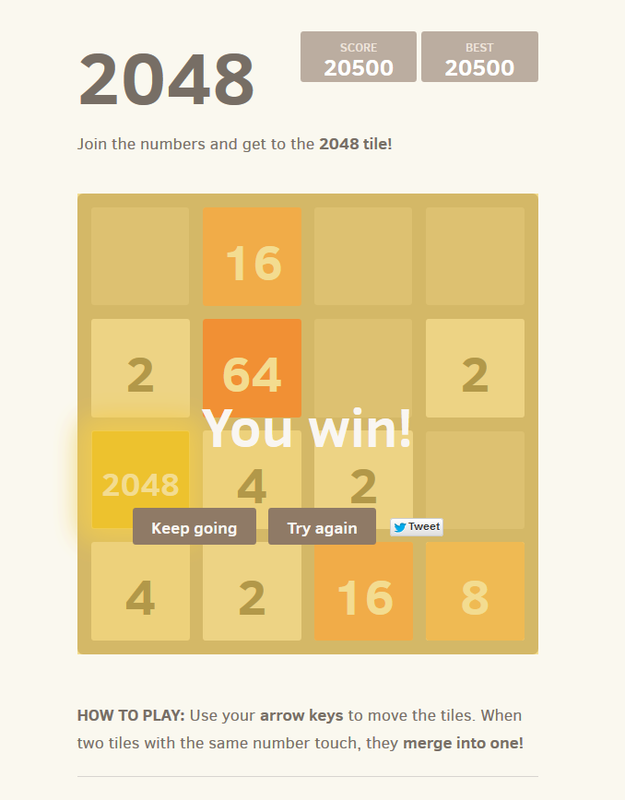 I wrote this in ICS, its basically the best AI I could come up with to BLINDLY solve 2048. It averages around 2-3k, the highest I've seen it achieve is just over 5k. Its better then random mashing, but it would be cool to find the best blind algorithm to get the best high score. This solution just utilises the corner tactic, and then moves up or left 1 when we aren't able to move down or right anymore.